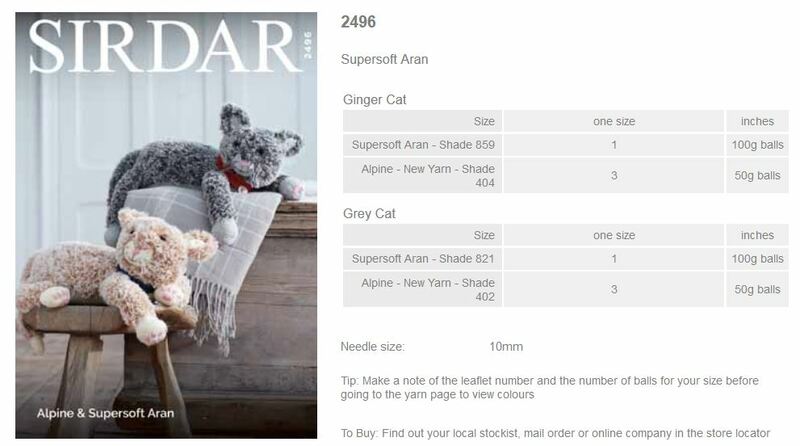 Yarn Type The most realistic fur effect yarn we’ve ever developed and we think you’ll want to wear this cosy luxurious yarn all winter through. Perfect for beginners, Alpine knits like a super chunky and many of our patterns use only two or three balls. You can easily create a snood or scarf in just one evening. 100% Polyester. 40 Deg Wool Cycle, machine washable. 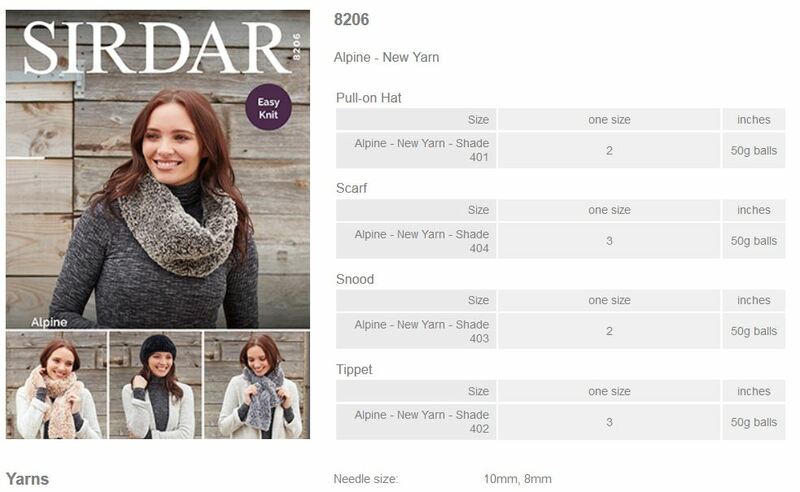 Leaflet with designs for a Pull-on Hat, Scarf, Snood, Tippet using Alpine. 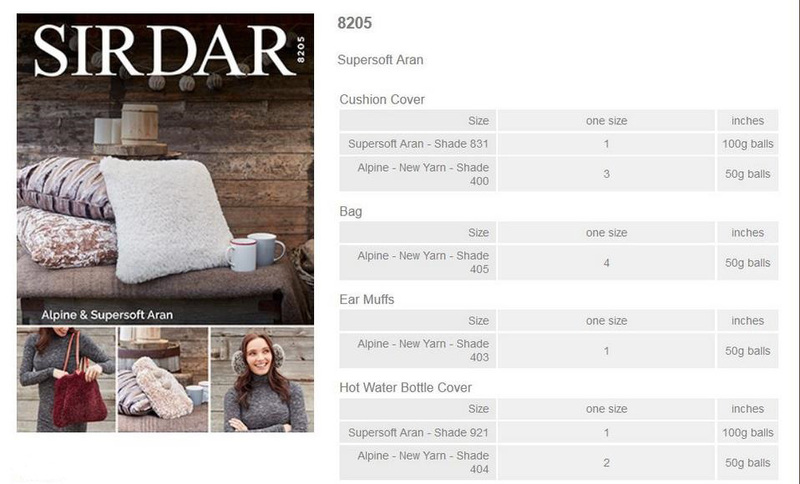 Leaflet with designs for a Cushion Cover, Bag, Ear Muffs, Hot Water Bottle Cover using Alpine. 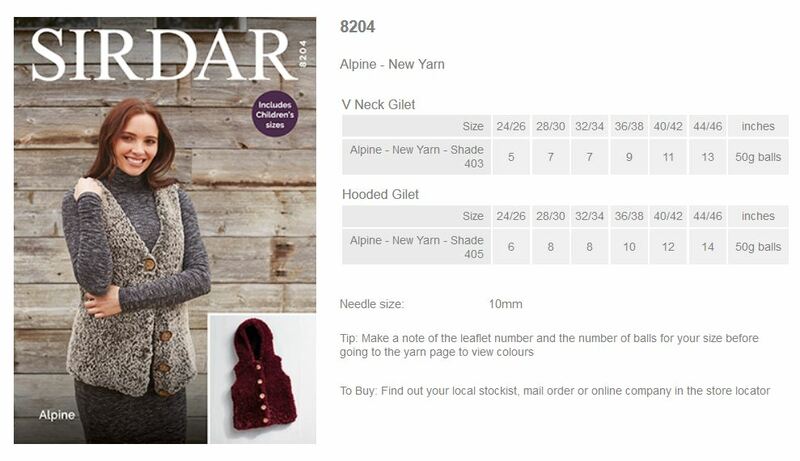 Leaflet with designs for a Hooded Gilet and V-Neck Gilet using Alpine. Leaflet with designs for Cats using Alpine. 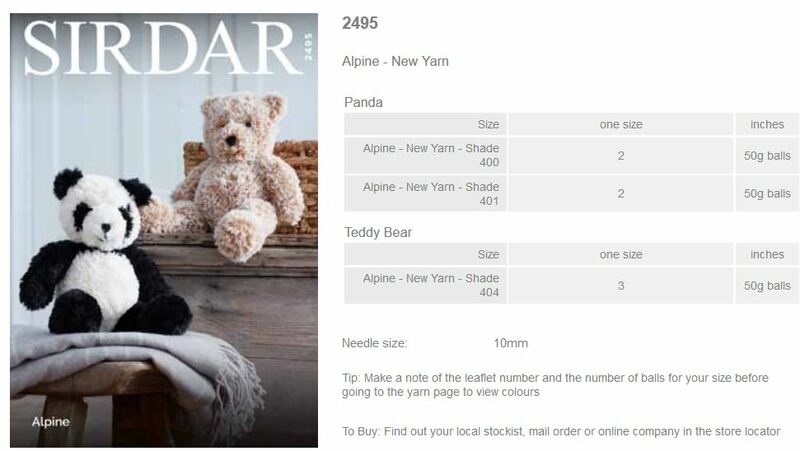 Leaflet with designs for a Panda and Teddy Bear using Alpine.